The terms "adrenal exhaustion" or "adrenal fatigue" are sometimes used to describe a chronic feeling of mild physical and emotional depletion that can follow a period or episode of intense stress. Not to be confused with adrenal insufficiency, a medically diagnosable and treatable illness, adrenal exhaustion is not fully understood. Some believe long-term or excessive use of stimulants like coffee can exhaust the adrenal system. However, there is no evidence for this hypothesis. Your adrenal glands are small, triangular glands located on the top of your kidneys. They produce many of the hormones and chemicals responsible for health, energy and mood, such as the hormones cortisol, which is produced in response to stress or low blood sugar; aldosterone, which raises blood pressure; and testosterone. When confronted with stress, the adrenal glands release dopamine, epinephrine and norepinephrine. These chemicals raise heart rate, blood pressure and feelings of alertness. Coffee contains caffeine, a central nervous system stimulant, which provides a short-term burst of energy and alertness. 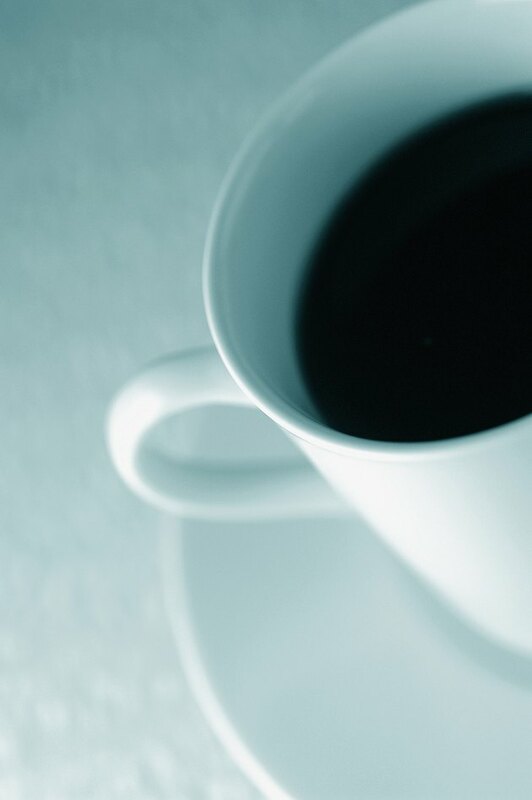 Drinking 2 to 3 cups of coffee a day is probably safe for most healthy adults. Too much, however, can lead to insomnia, trembling, uneven heartbeat, headaches and dehydration and can cause withdrawal symptoms like severe headaches and irritability if you stop drinking it. The caffeine in coffee may also elevate the adrenal glands' production of norepinephrine and epinephrine, although it is not known whether there are any long-term results of this effect. Adrenal insufficiency, also known as Addison's disease, is a rare illness in which the adrenal glands stop producing enough cortisol and aldosterone due to damage or illness. Adrenal insufficiency can also occur when the brain does not properly stimulate cortisol production. Adrenal exhaustion and adrenal fatigue are nonmedical terms sometimes used to describe the worn-out feeling that can follow a period of intense stress. In theory, constant stress or overindulgence in stimulants like coffee can provoke the adrenal glands to overproduce, eventually leaving them too depleted to function properly. However, there is no scientific evidence that this is a physical disorder or that coffee causes it. If you believe coffee consumption is negatively affecting your health, taper off slowly to avoid withdrawal symptoms. If you continue to experience unexplained fatigue, weight loss, dizziness, hair loss, low blood pressure and body aches, ask your doctor whether Addison's disease is a possible cause. If you are at risk, a simple test of your cortisol levels can confirm the diagnosis. Other possible causes of these symptoms include potentially serious conditions such as depression and chronic fatigue syndrome, so see your doctor for accurate diagnosis and treatment.